The new Greener Heat™ Heated Door Mat melts snow and ice at your door, on porches, decks, and around hot tubs. 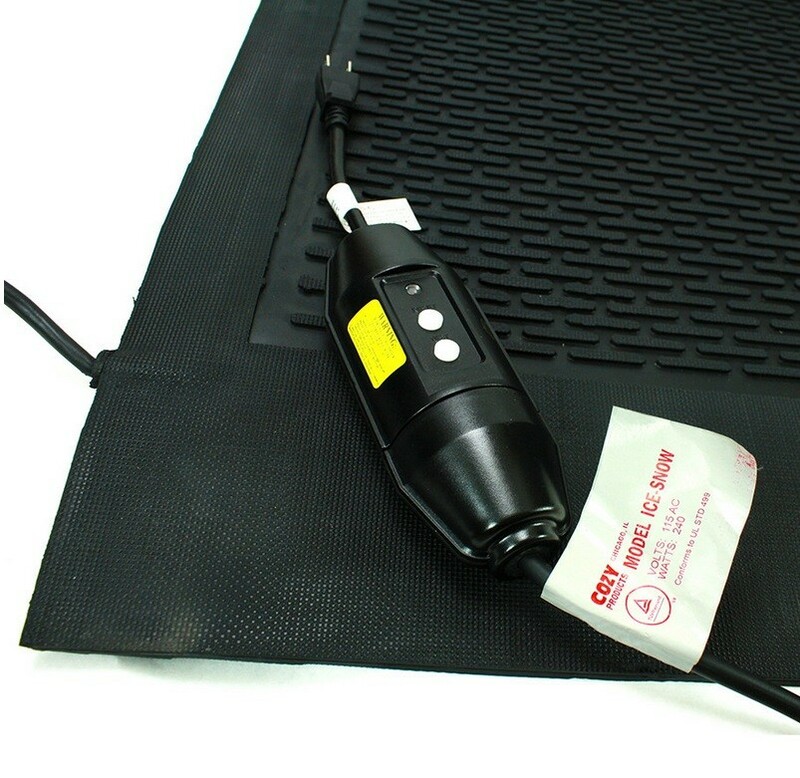 Measuring 36W x 33L inches, the heated doormat produces a 40 to 50 degree Fahrenheit rise in surface temperature over the ambient temperature, melting snow and ice 24/7. Economical, using only 35 watts per square foot. 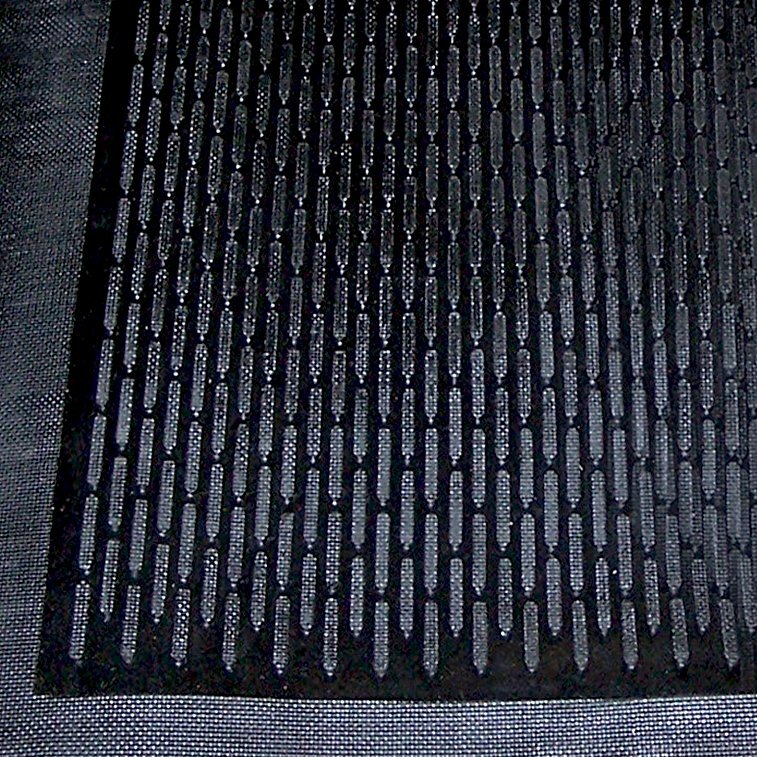 The molded rubber mat features heavy-duty construction that is made to last for years. Weighing over 14 lbs, most winds will not move it. Measuring 36 inches wide x 33 inches long, the Greener Heat doormat will help prevent thick ice build up when properly used. Designed to stay on all winter, the mat may also be used without power in warmer periods, making a very nice entrance mat all year round. G.F.C.I. attached to the 15 foot cord. The mat is E.T.L. approved. 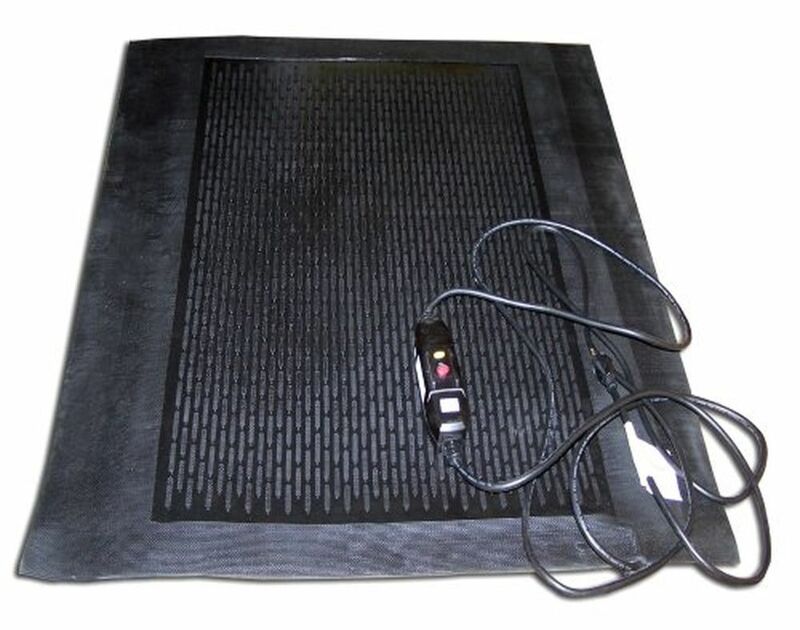 These heated entrance mats are an ideal size for residential use – use outdoors to melt snow and ice, or indoors as a heat source in non heated areas. The Greener Heat Heated Doormat provides safer footing during snowy winter months by melting snow and slush for pennies a day. Additionally, they provide radiant heat indoors, helping reduce heating costs while providing warmth and helping to dry the floor during winter months. 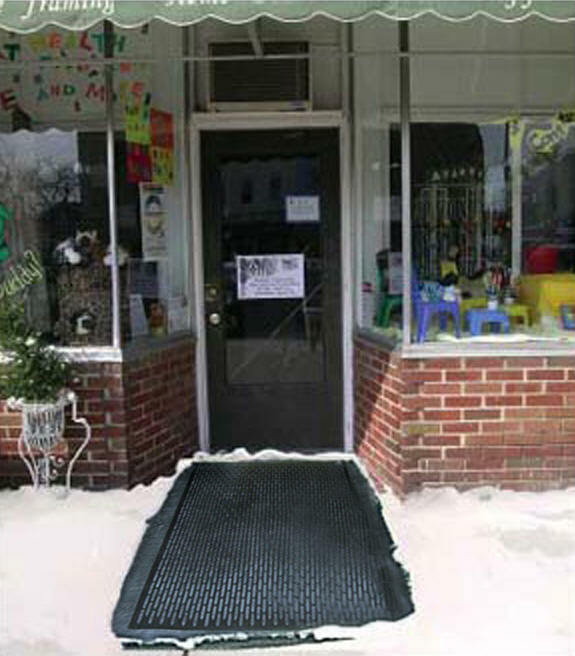 The Ice-Away™ snow & ice melting mat combines a rugged, non-slip outdoor mat with a snow-melting system that keeps entrances safe from the harsh winter environments. Keep up with snow as fast as it falls and forget about constant shoveling and salting sidewalks. Cord lead length (nominal) 15 ft.